The former Times editor Robert Thomson was named managing editor of the Wall Street Journal today as Rupert Murdoch tightened control of the management of the world's top selling business newspaper. Thomson's new role is the top editorial position at the Journal. He replaces Marcus Brauchli who quit last month amid signs of discontent over the speed of changes at the paper since it was taken over by Murdoch's News Corporation in December. News Corp said the appointment had the unanimous approval of a committee set up to safeguard the editorial independence of the Journal. The committee had objected to a lack of consultation when Brauchli resigned. "Mr Thomson's outstanding career as a financial journalist, foreign correspondent and editor equips him perfectly for the position," said Murdoch. 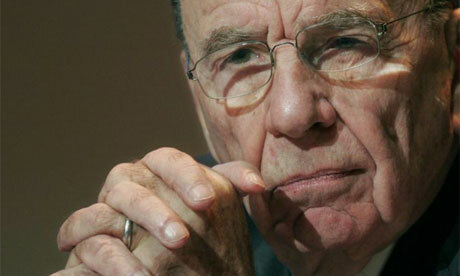 Thomson, 47, is an Australian compatriot of Murdoch and he has been a loyal lieutenant of the press baron for six years. At the end of last year, Thomson moved from London to become publisher of the Journal. His new role gives him formal control of its newsroom, which, according to the paper's journalists, he was effectively overseeing anyway. He will also be editor-in-chief of Dow Jones' newswires service. Murdoch's $5.2bn takeover of the Dow Jones group was highly contentious throughout last year as the Journal's founding Bancroft family struggled to agree on whether to sell up. Since the deal was sealed, Murdoch has made it clear that he wants the paper to diversify away from its business roots to compete with mainstream publications such as the New York Times. A sports page has begun appearing in the Journal and plans are underway for a glossy magazine. Thomson can boast a depth of experience in business coverage - prior to joining the Times in 2002, he headed the US edition of the Financial Times. He has also served as a correspondent in Beijing and Tokyo, having begun his career as a copy boy at the Herald in Melbourne in 1979. Murdoch has wasted little time in inserting handpicked people to run the Journal. Les Hinton, a former boss of Murdoch's UK papers, is now chief executive of Dow Jones. In an attempt to rebuild bridges with the editorial committee formed as a condition of News Corp's takeover, Hinton expressed regret for failing to consult the body when Thomson's predecessor left. "In hindsight, we recognise it would have been more appropriate to have advised the committee in advance of reaching an agreement with Mr Brauchli," said Hinton. "We have apologised to the committee members."